The effect of diet and nutrition on cancer prevention and recurrence (the return of cancer after treatment) is one of the most studied topics in medicine. Cancer treatment often affects a person's eating habits and nutritional needs. Although it is important for people with cancer to maintain a healthy body weight and eat nutritious foods, the side effects of surgery, radiation therapy, and chemotherapy may cause a person to eat less and lose weight. On the other hand, some treatments may cause weight gain for some patients. 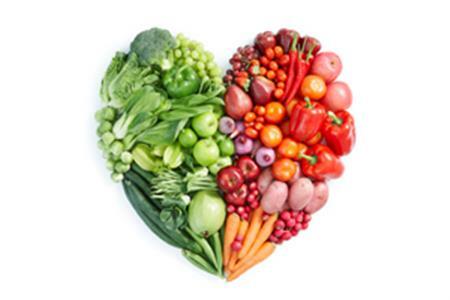 Our Oncology Dietitian Nutritionists are board-certified and trained in oncology nutrition. They provide evidence-based recommendations that are proven by scientific research and clinical experience. Education and support are provided to help prevent treatment delays and decrease side effects from treatment. Individual counseling is offered during treatment and continues until a return to improved health is assured. Personalized food and supplement recommendations are provided to correct nutritional deficiencies and help enhance nutritional health and well being. Once treatment for cancer is complete, our nutrition experts can recommend personalized food choices that will support treatment outcomes, enhance the quality of life, and decrease the risk of disease recurrence. Dietitians conduct monthly oncology nutrition seminars, in addition to scheduled nutrition counseling, as a way to educate cancer patients about ways to use the power of food and nutrition during and after their treatments. Individuals currently in treatment or within one year of their last treatment may receive nutrition counseling free-of-charge. Call (805) 879-5652 for more information. A schedule of upcoming seminars can be found on the Ridley-Tree Cancer Center online calendar. A healthy living website that focuses on evidence based nutrition guidelines. Written by a registered dietitian, licensed nutritionist and a board certified specialist in oncology nutrition. Food safety is important for cancer patients during and after treatment. Cancer and cancer treatments can weaken your immune system making it harder for your body to protect itself from food borne illnesses, also known as food poisoning. These resources provide information on identifying the signs of food borne illnesses and how to prevent them.